A little consistency in the morning isn’t too much to ask for. As we navigate our routine on autopilot, having things where and how we want them makes it much easier to get through the morning. It’s almost like getting extra sleep, uh, except without the actual sleeping in. While our brains might not have to work until we leave the house, our bodies certainly do. The Chef’n Banana Slicer creates perfectly uniform banana slices, keeping your morning cereal exactly the way you expect it. Designed for kids and adults, the cutting tool produces five even slices with just a squeeze of the handle. Fingers are protected as the actual cutting is accomplished away from the grip. Now if they could just stock supermarket shelves with perfectly even bananas. 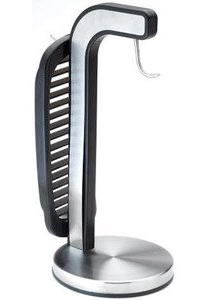 The Kamenstein Banana Hanger with Slicer gives you a way to store bruise-free bananas on the counter, and makes for an attractive presentation while at it. 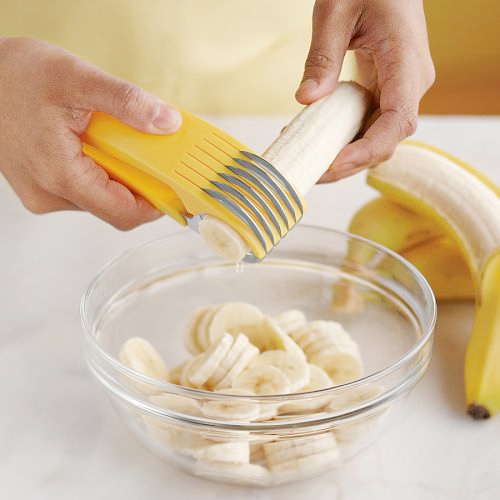 Additionally, the inclusion of a banana slicer leaves little excuse for not getting your daily dose of potassium. Not only do bananas belong in bunches, but they also belong hanging from a tree. Since most of us can’t find the time to tend the banana groves in our backyard, we need to find alternate options for banana bunch hanging. Enter the Umbra Banana Split. 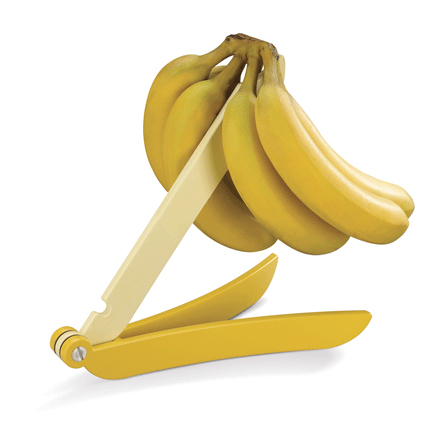 A nifty little banana hanger, the design by Jason Nip features styling in white and “mellow yellow” for that all important banana appeal (ahem). These three little wise monkeys may have an aversion to wine, but perhaps they are just watching over it for you. In fact, that’s exactly what these Banana Kids Wine Stoppers by Alessi are meant to do. Some may consider them to be turning a blind eye towards your imbibitions, and perhaps that’s not too bad of an idea. As the saying goes: see no evil, hear no evil, speak no evil. 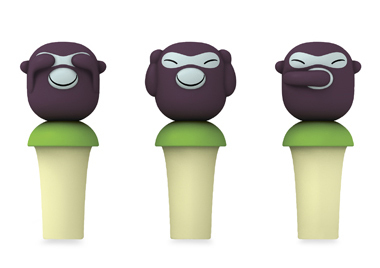 If you’re using these wine stoppers to save a bottle of Two Buck Chuck, then these monkeys are wise indeed.